Easter is coming early this year! 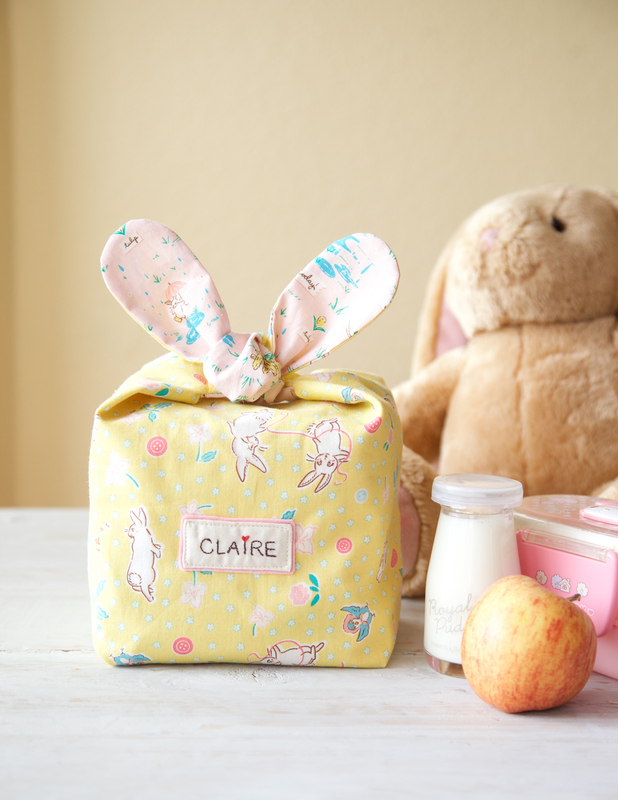 To help celebrate the season we’re sharing our favorite free Easter sewing project from WeAllSew. 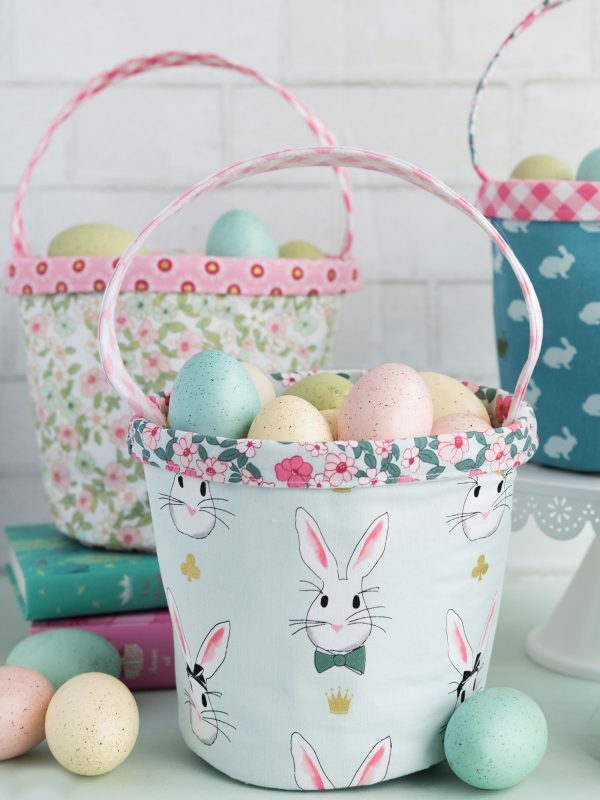 These small fabric baskets are 7″ tall by 5 1/2″ across on the bottom, just perfect for holding little treats and surprises on Easter morning. 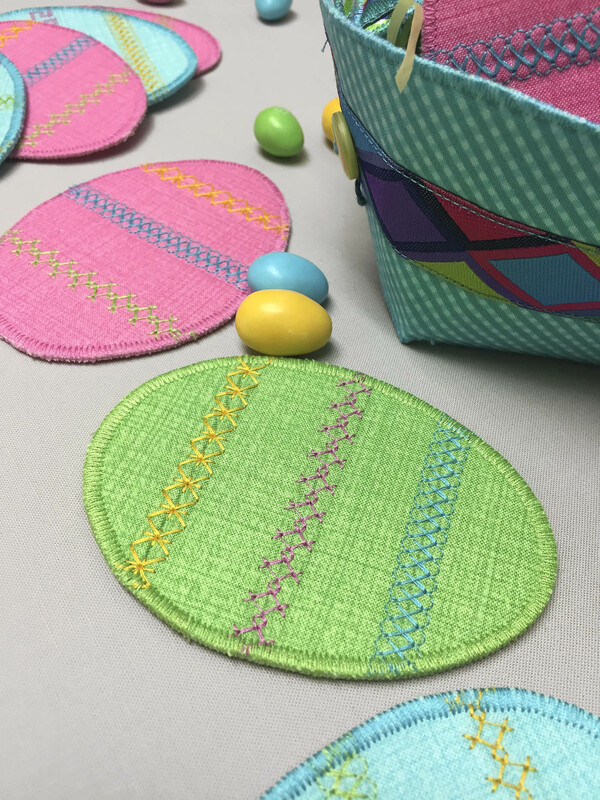 Learn how to stitch a Fabric Easter Basket with this tutorial here on WeAllSew. Easter treat tags create perfect little gifts on their own, or add these sweets to any Easter basket. 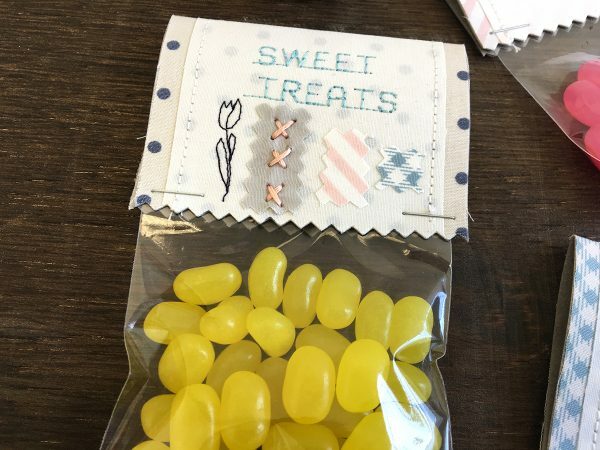 Get the free template and tutorial to make Easter Treat Tags here at WeAllSew. Stitch a simple little treat bag complete with bunny ears! Even sweeter when you follow the directions to create a custom name tag. Find the Bunny Snack Bag tutorial here from WeAllSew. 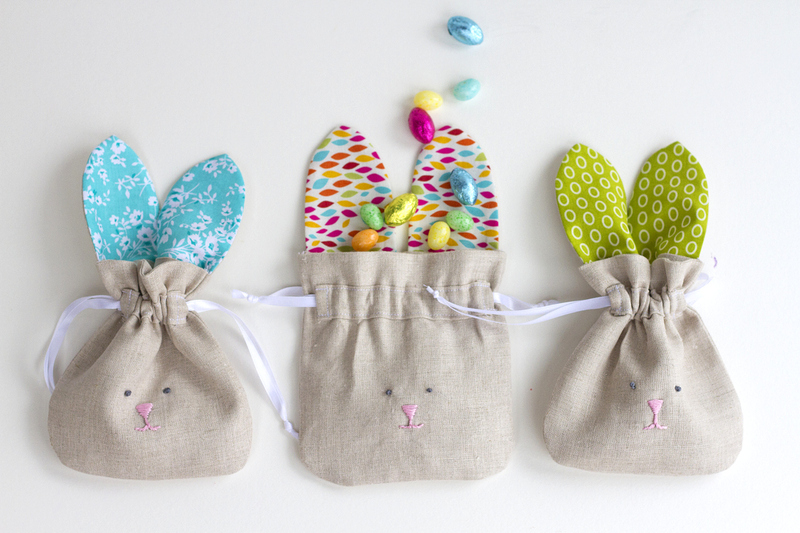 How cute are these treat bags shaped like little bunnies? Get the original Drawstring Bunny Bag tutorial here on WeAllSew. 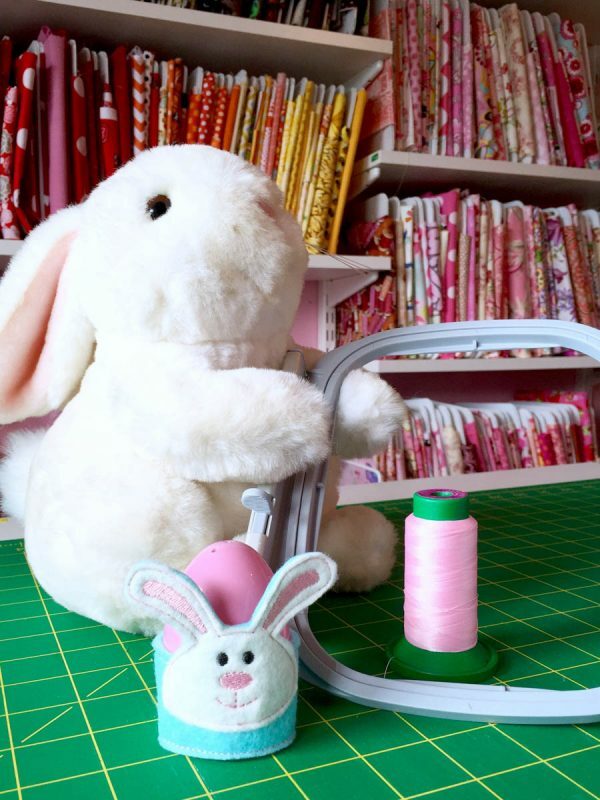 Create a bunny egg holder all in-the-hoop of your embroidery machine. Get all the instructions and the free embroidery design to make Bunny Easter Egg Holders here on WeAllSew. These bright and cheery eggs are perfect as table top decorations, coasters, basket stuffers, gift tags, or even strung together as a garland! 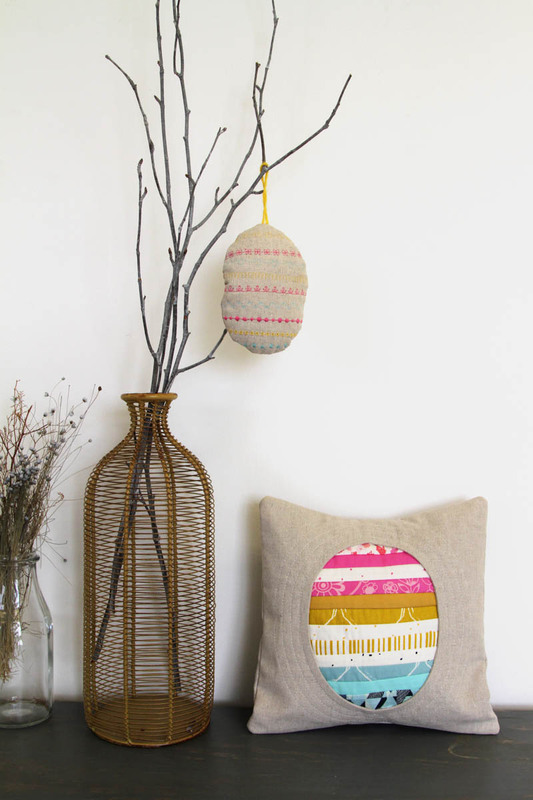 Learn how to make your own Decorative Stitched Easter Eggs at WeAllSew. Learn how to sew a patchwork Easter egg pillow and brightly stitched egg hanger with the Spring Tidings Pillow tutorial at WeAllSew. 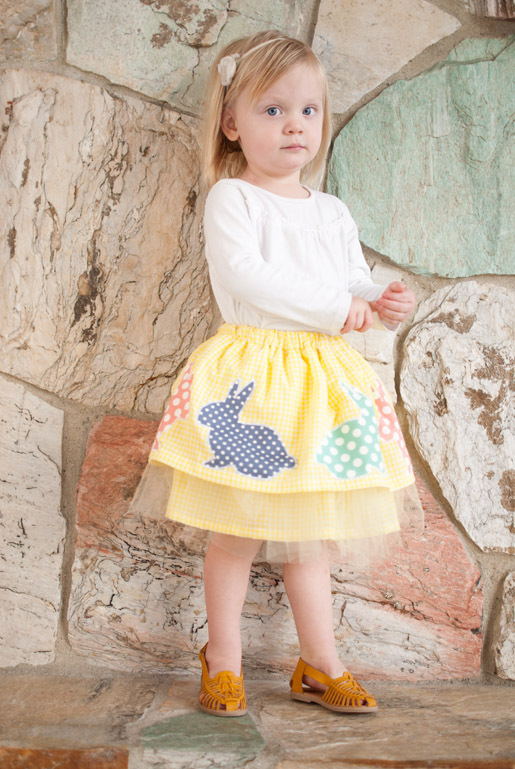 This bright and ruffly skirt is the perfect accessory for your little one to celebrate Easter. Learn How to Sew a Fluffy Easter Skirt here on WeAllSew. 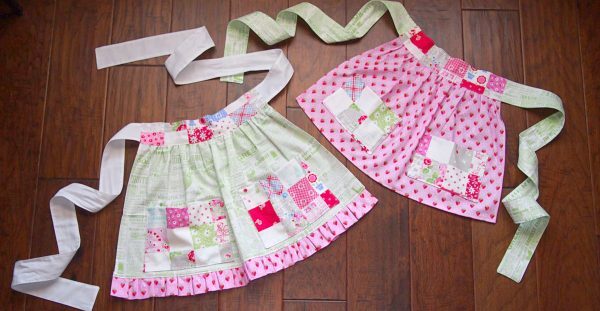 For anyone celebrating Easter with a homemade brunch or dinner, these bright spring colored girl’s aprons are the perfect thing for little helping hands. Find the Girl’s Fresh Apron tutorial at WeAllSew. This easy to sew dress designed by Simple Simon and Company makes the perfect Easter dress. You can find the full tutorial including a link to the free pattern for the Vintage Dress here at WeAllSew. Thank you so much for the patterns and tutorials! I’m going to make the drawstring bunny bag for my grands!! I have 4 small ones that will enjoy them! It’s the 10 year old grandson I don’t think would appreciate one!! I have other things for him. Thank you again. I’ve enjoyed reading all of them.